He spent two seasons with the Cleveland Browns and 10 with the Green Bay Packers. He played in Super Bowls I and II. His team — the Packers — won both, plus three pre-Super Bowl NFL championships. He was an All-NFL pick five seasons. He played in five consecutive Pro Bowls. He sacked more quarterbacks and recovered more fumbles than any Packers player before or since. In a 12-year NFL career that included 162 scheduled games, he never missed one. Then he retired. But Willie Davis was just getting started. And the qualities that made him one of the best defensive linemen in NFL history — dedication, intelligence and leadership — have led him to equal success in his post-football career. Willie scooped up an M.B.A. from the University of Chicago and went into business, succeeding first as president of West Coast Beverage Co., where he increased sales from $2 million to $39 million in 18 years, then in broadcasting, where, as president and owner of All Pro Broadcasting, he operates top-rated radio stations in California and Wisconsin. Considered one of the world’s most influential businesspeople, Willie serves on the boards of numerous companies and philanthropic groups. Pres. Ronald Reagan named him director of the 1984 Olympic Committee. 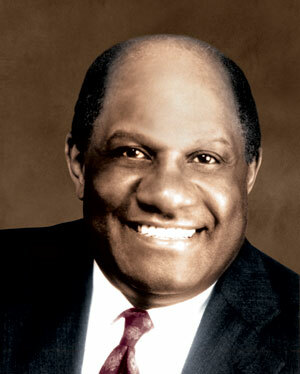 He has been chairman of the Urban League and director of Junior Achievement. He also has lent his leadership skills to Marquette as a university Trustee, far from the least of a long line of noteworthy accomplishments.